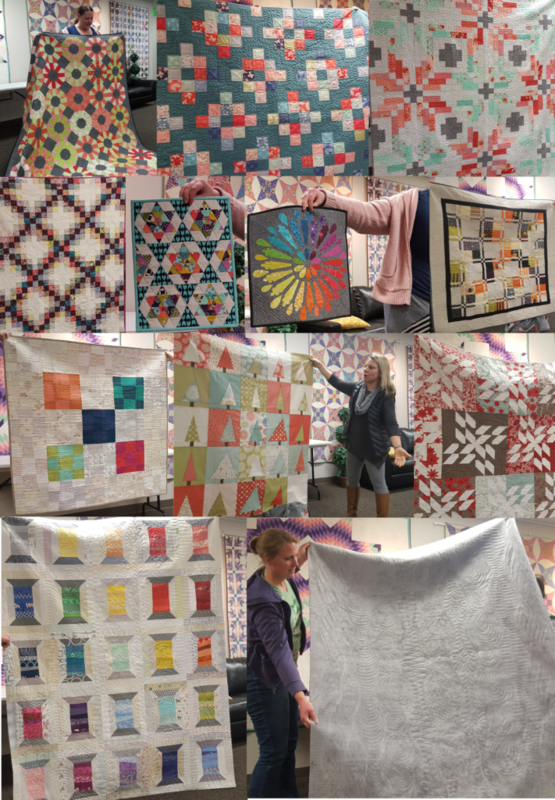 In January, we shared some great quilty projects, had a show and tell from our sister guild (the Holladay Quilt Guild) and elected new board members. February we learned about the art of longarm quilting, how we can better prepare our quilt tops and backs for a longarmer, and got to try out the longarms at Handi Quilter. We had a fabulous show and tell in February. 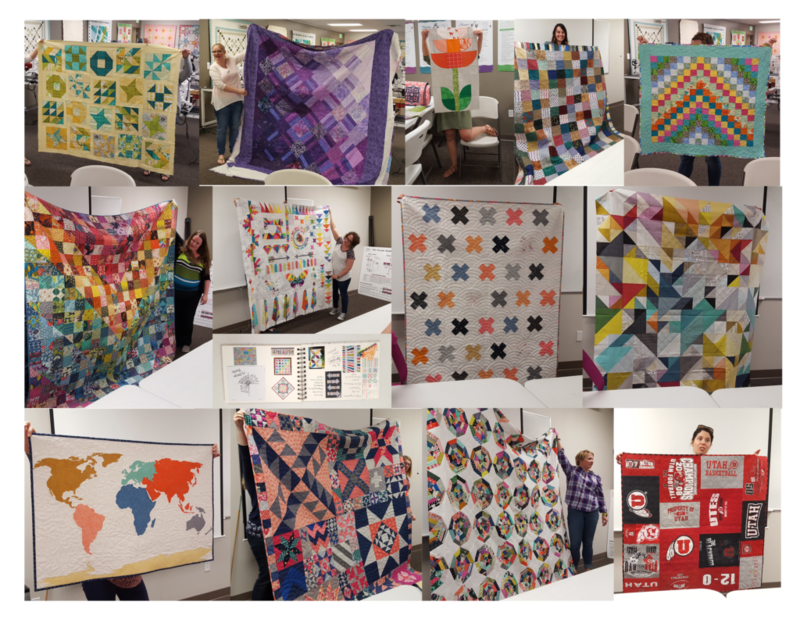 In March, we learned about all the great resources we have access to as Modern Quilt Members (your Salt Lake Modern Quilt dues include a Modern Quilt Guild membership). The challenge for 2017 is to make a quilted item (of any size or shape, it could even be a bag!) inspired by a piece of art. 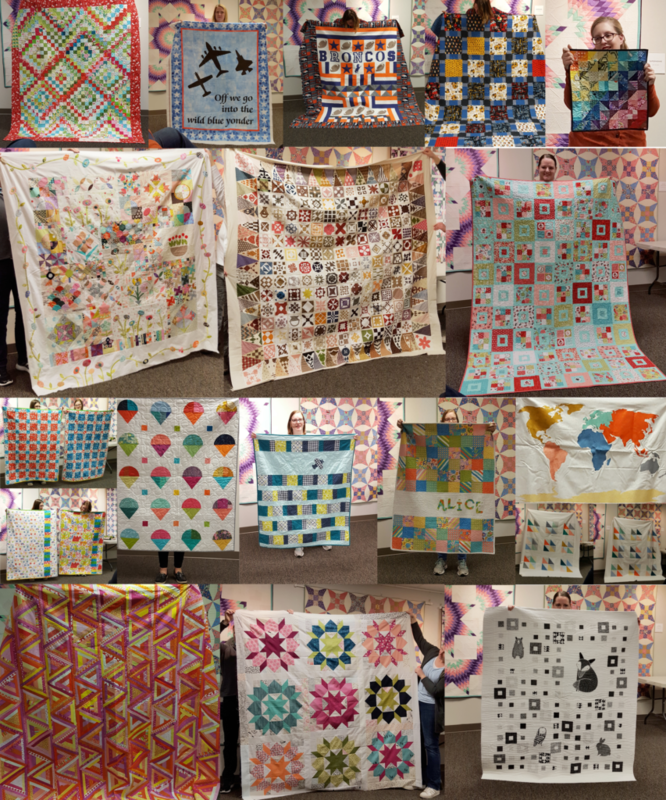 At our March meeting we discussed ways we could use art as inspiration for a quilt and looked at many styles of art. Select your artwork and use the Instagram hashtag #slmqgart2017 to share your progress or to see what we are up to! Next Guild Meeting – Thursday, April 20th from 7-9pm at the Handi Quilter building (501 N 400 W, North Salt Lake, UT 84054). Been working on your UFOs/WIPs this last year? Bring in your finished quilts for a chance to win some fun prizes. Do you label your quilts? Bring labeled quilts to show off and join us for a quilt label discussion and demo. REMINDER – SLMQG Annual Mini Swap is in May this year!